Planning a road trip is almost as fun as the trip itself. Picking the route, packing up the hire car and prepping the snacks will get you pumped up for the adventure ahead. However, there’s one element of this process that you might want to give some extra thought; and that’s who you’re taking on your travels with you. Now, we aren’t suggesting you ruthlessly tell your friends and family that they’re no longer invited, but some people are just made to be co-pilots, and some, (as you will see from our handy guide) are not. Check these out before you select your crew and you should be in for a hassle free cruise. We all get sleepy now and again, it happens. 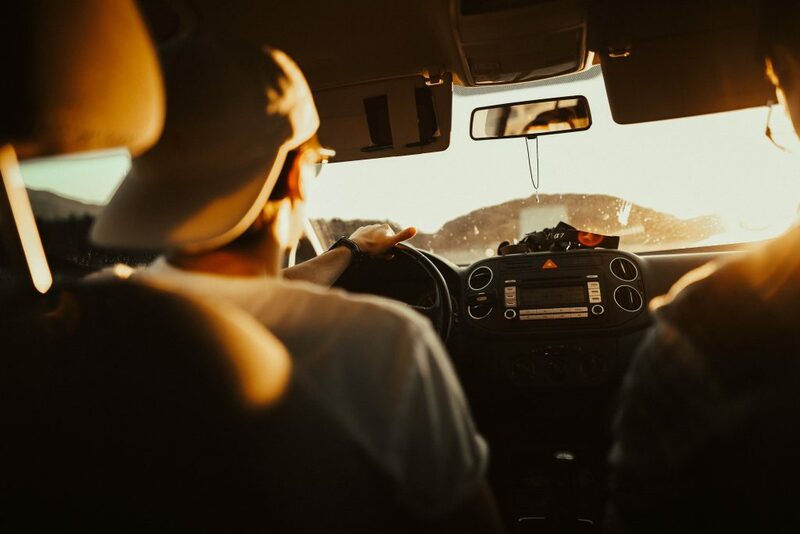 But when travelling in a party of two, everyone knows it is passenger etiquette to stay awake and keep the driver company at the wheel. The sleepy passenger will tend to put their feet up and doze off within the first few miles, waking up just as you’re pulling in to a service station. Nobody wants to be singing solo on a road trip, so choose wisely and leave the snoozy ones at home. A road trip wouldn’t be complete without an array of tasty treats to keep everyone going during the journey. However, if it looks like you’ll have to call in a cleaner once your co-pilot has left the vehicle, they’re going to be more hassle than they’re worth. Leave this person at home and meet them for dinner instead. This person should really know why they’re being fired. Backseat drivers will treat you like they’re your driving instructor, yelling instructions from the back and telling you when you’ve done a wrong manoeuvre. No matter how many great jokes this guy or girl might tell, they’re not going to be a great addition to your road trip squad. Don’t be put on edge whilst driving; it’s a safe bet to leave this passenger off your list. This passenger is almost as distracting as the Backseat Driver, but this one probably can’t drive and really hates being in a car. No matter how carefully you drive, they’ll still squirm and squeal and tell you to slow down. Warn your nervous passenger that they’re killing your vibe (unless you really are driving too fast, in which case SLOW DOWN!) and if they continue to screech, don’t invite them back. Expect to hear the words “are we there yet?” many times from this type of passenger. They will spend the whole trip fidgeting, changing seating positions and putting their feet up on your dashboard whilst pressing buttons they probably shouldn’t. If you still prefer this to The Sleeper, invite them on board but bring your headphones. Road trip rules are whoever calls shotgun controls the music. Music can really make or break a trip, so choose wisely when it comes to your in-car DJ. Imagine driving down a scenic road listening to an all-time classic and just before the big chorus kicks in, the song changes. Complete disaster! Nobody wants to travel with a music skipper, so state your rules before anyone gets in the car. Only marginally better than The Sleeper, this passenger will be glued to their phone the whole journey. You may get the occasional grumble from them as you try to engage in conversation, but don’t expect much. They have much more interest in scrolling through Instagram than they do in chatting to you. This person needs a good digital detox before they are allowed a seat on your road trip, so leave them behind. Picking the right travel companions can turn a good trip into a phenomenal trip. Leave these 7 types of passengers behind next time you head off in your car or campervan rental and just let the good times roll. Stuck for a place to eat in Auckland? Visit one of these fantastic restaurants with your New Zealand car hire!